Studying the Stone Age is almost so boring that it’s rude, right? Researcher Yulia Ustinova has the right idea (second only to studying history while actually stoned) by approaching ancient peoples specifically to find out what type of mind-altering shenanigans they were into back then. Her research focuses mainly on the role of Greek religion within society, and her current project is entitled “Mania: Altered States of Consciousness and Insanity in Ancient Greece.” Sounds entertaining to say the least. Among a ton of papers and chapters in collective volumes, Ustinova has written two books entitled: “The Supreme Gods of the Bosporan Kingdom: Celestial Aphrodite and the Most High God” and “Caves and the Ancient Greek Mind. Descending Underground in the Search for Ultimate Truth.” She currently teaches at Ben-Gurion University of the Negev, but has also taught in London and Chicago and conducted research in Leningrad. Suffice it to say she’s pretty legit. Her article “Consciousness Alteration Practices in the West from Prehistory to Late Antiquity” gives an overview of the people, practices, and potentially harmful substances we can study beginning with the Stone Age. The specific stories she mentions can be understood outside of their cultural context, making them easy for us uncultured swine to understand what they’re all about. So let’s rewind a few years. Music and Dance- Picture lots of repetitive stomping and banging on things. Psychoactive plants- While there is little hard evidence that hunter-gatherers used them intentionally, it’s highly likely they were aware of the plants’ effects, because, c’mon. Opium- Accounts surfaced in the Neolithic era. Alcohol- Accounts showed up in the 4th millennium in eastern Mediterranean and Mesopotamia. It’s likely that all of these were used in a religious context. Protohistoric peoples are less mysterious because they began leaving texts giving us the dirty details. Herodotus gives the first account of a “purification rite” involving hemp seeds as a hallucinogen. This showed that in Iranian-speaking cultures, hallucinogens were used in religious ceremonies, and that other Europeans used hemp as a psychoactive substance. Also, accounts from this time period give us more information about the Germans, Celts, and a few other peoples beginning to use alcohol in their cultures. In the Ancient Near East, which Ustinova clarifies as being “part of the West because the Mediterranean world has always served as a bridge between Northern Europe and the Levant,” we find more of these kooks using opium and other plants like water lilies for mind-altering. In several cultures such as Minoan and Egyptian, opium and other plants were most likely used specifically to alter states of consciousness. They also used beer and wine in social and ritual contexts. Around this time period, people started believing that altered states of consciousness were linked to prophesy giving. The Mari texts from 18th century BCE give counts of men and women “possessed” by spirits and they named them ecstatics or respondents. These texts detail the culture’s perception of prophetic moments. Furthermore, in ancient Israel, what they called “inspired prophecy” played a huge role in the culture. For example, Ezekiel’s vision in the Old Testament gives a primary recollection of altered consciousness. His experience takes on several hallucinatory forms: visual, auditory, gustatory, tactile, and kinesthetic. This may have been some form of synesthesia. His beard is full of secrets. Prophetic: There were many methods seers or prophetic priests used to induce this state of prophetic “enthousiasmos”: drinking sacred water, dipping feet into sacred water, shutting themselves in a temple, mounting sacred structures, fasting, seclusion, and many more. People involved in these frenzies were disposed to hallucinations because of their lifestyles and the rituals they underwent in preparation. One example of this was the “Daimonion of Socrates” by Plutarch. This detailed an out-of-body experience of a man who, in a “prepared” state, enters an oracular crypt and experiences some larger-than-life sensations, leading him to profound conclusions about his mortality. Such mystery rites were directly relevant to the individual, and were aimed to influence that person’s attitude toward life and death. had to be inducted into a certain state of mind to achieve it. Ustinova asks us to consider the questions: what was the nature of the experience, and what methods were used to make the initiated “fit for the purpose”? The pay off for this ritual was that the individual gained peace of mind and acceptance of death. They were essentially forced to endure death and learn not to fear it. This mirrors modern individuals who experience life threatening situations (such as a heart attack or trauma injury) and come back from the experience with a whole new personality or outlook on life. The Greeks studied many ways to liberate their souls from their bodies at will, including meditation, bringing themselves to the verge of death, welcoming possession, and so on. They viewed this separation of the body and soul as the ultimate way to gain wisdom–a wisdom that was not attainable when the soul was restricted by the body. Lastly, Ustinova examines the Roman Empire, which essentially adopted the consciousness-altering practices of the Greeks when the Greek and Near East cultures flooded theirs. This led to mysteries such as the Greco-Roman Mystery of Isis; initiates were made to feel the anguish of the goddess Isis and live through it. They approached the “threshold of death” and experienced contact with the divinity. The Roman Empire also birthed Plotinus, the Father of Wetstern Mysticism. From the Stone Age to Late Antiquity, individuals definitely experienced and experimented with altered states of consciousness. As time passed, accounts and records became more specific, individualized, and culturally relevant. These events and people have extreme influence in the development of human history, and the study of such practices is still very relevant today. So the next time you’re bored in history class, wondering how it’s possible that at one point the Austrian army actually attacked itself to the point of self-inflicted decimation, just remember it could be due to the fact that they were probably high on opium. #history. This entry was posted in Altered Consciousness and tagged Ancient Greece, Ancient Near East, Greek religion, Neolithic, Paleolithic, Prehistory, Protohistory, Roman Empire, Stone Age, Ustinova on January 21, 2014 by rmwinchester. I enjoyed your little subtitles a good bit. I really got a kick out of the Prehistory part, however. Imagining primitive humans completely out of their mind (or just in an altered version of their mind I suppose) scribbling on the walls with rocks and sticks was amusing. 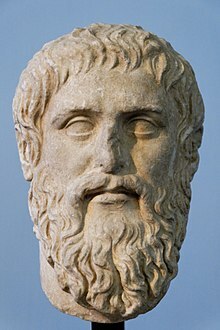 I also thought it was interesting, but not really surprising, that the desire for altered consciousness increased over time, even coming to be revered with the Greeks and whatnot. I thought this to be a very interesting blog, especially since we tend to forget how prevalent drugs have been throughout human history. Do we know how Stone Age peoples discovered these plants and then why they transferred them to religious ceremonies? Instead of solely using the drugs to get an out of body experience. Your comments need to be more substantive. Note the requirement in the syllabus is write 500 words, I believe. I’m a Classics major, so excuse me while I take off with the Ancient Greece portion of this post. The Ancient Greeks were all about some “altered states of consciousness” in the religious observances of the Pantheon. In the cult of Apollo, based in Delphi, oracles (most famously the head priestess who was called the Πυθία, Pythia) would go into trance states and give prophecies to those who had came seeking wisdom from the god. The Pythia would sit on a tripod over a chasm in the temple of Apollo, chewing on bay leaves, until the god Apollo possessed the priestess. Geologist and archaeologists alike believe that the Pythia’s trance state was the result of literally getting high off the ethylene gas emitted from the chasm. The Pythia, stoned out of her mind would then prophecy in gibberish, to be interpreted by a priest within a month or so. The month it took to respond suggests that the priests of Apollo might have had spies all of the Hellenic world reporting the information needed to respond to the entreaties asked of the Pythia, so the whole getting high and “being possessed by a god” was all just good fun, I guess. Let’s not forget the cult of dear Dionysus, or, his cultic name, Bacchus. The god of wine and revelry mustn’t be excluded from this list. Obviously the substance of choice in this case was wine. The worship of Bacchus was characterized by an ecstatic, orgiastic loss of self-control. Instead of traditional sacrifices as given to the other Greek gods, the frenzied, drunk worshippers of Dionysus would violently tear a small animal apart with their bare hands. In at least one case, this “small animal” might actually be your own son, Pentheus (woops). Crazy. But if you thought Dionysus was a lot, you probably haven’t heard of Cybele (Κυβέλη). (Actually, nobody talks about Cybele, so you really probably haven’t.) Cybele was referred to as the Great Mother, and was worshiped as an earth goddess, in a cult very closely related to that of Dionysus, but at least 7x’s freakier. The point of worshiping the Great Mother was to experience the unrestrained, wild vitality of nature and thereby cleanse yourself from the ills of humanity. While no reference of any mind-altering substance is made, the rituals of Cybele’s worship still involve some sort of trance state of altered consciousness to experience the chaotic essence of the goddess. These rituals consisted of deafening Corybantic riots of self-flagellation and mutilation. I mean really, guys- how high would you have to be to think castrating yourself would be a good time? No sir. I found this article an interesting and entertaining change of pace from some of the more historic anthropology journals. While drugs were not the only method of reaching a trance state, they are the most controversial and fascinating form to me. Though they certainly used mind altering substances for recreation, the article focuses more on their use in spiritual ceremony and exploration. Nowadays mind altering substances, both those organic and chemical in nature, have a negative stigma attached to them. This negative stigma has come about either from our higher understanding of the effect of drugs on the brain or the more likely result of ‘reefer madness’. While these drugs have spiritual uses as well as recreational, our culture has almost completely removed any spiritual connection. It seems like suburban parents fear nothing more than their children smoking pot in a basement and destroying 8 bags of cheetos because they will one day resort to selling precious family heirlooms on pawn stars to buy 2 grams of sweet mexican black tar heroin. There are certainly dangerous drugs out there (see above), but the fact that people have been using cannabis and other naturally occurring substances for millennia tells me that some of our concern is misplaced. I’m not somebody who encourages abusing drugs, but I believe that some of them can be useful for spiritual and recreational purposes. People in the stone age may not have understood the science behind mind altering substances, but they recognized that there was a spiritual potential for them. I think my favorite point in this article has to be the line “While there is little hard evidence that hunter-gatherers used them intentionally, it’s highly likely they were aware of the plants’ effects, because, c’mon.” I just think it is so funny because while the use of mind altering substances was primarily spiritual in nature, it’s hard for me to believe that there wasn’t also some sort of recreational influence. Having said that, I must recognize what was mentioned earlier in that an altered state of consciousness is a hugely spiritual event for many people. I remember mentioning in class a movie on netflix called “DMT: The Spirit Molecule” (I highly recommend watching it to anybody interested in the use of psychoactive drugs for spiritual purposes). The most fascinating thing about the movie is the fact that it address both the scientific and spiritual implications of the compound. I talked about it in my earlier comment, but I feel like I now have a better understanding of why these psychoactive drugs have such a negative stigma. I’m kind of making a guess here, but I would have to say that the negative stigma associated with mind altering substances likely stems from more Judeo-christian religions. I read Hannah Gene’s comment where she talked about not drinking or doing drugs because “alcohol is for drunks and and trashy people, and drugs are for potheads and delinquents”, and while I’m sure she is saying that sarcastically in some sense, a lot of religions preach that sort of message. In earlier societies, being under the influence and out of control was understood as some sort of spiritual opportunity, but in many religions around today, it is seen as a sin or a weakness to succumb to such vices. I think it’s extremely fascinating how the use of substances to alter ones mind has been a kind of ‘fad’ ever since the cavemen days. What’s even more interesting is how its use has transformed from a spiritual rite of passage to an (often) one way street to societal ostracism and/or rehab. Though the stereotype and stigma has changed, the self-destructive psyche accompanied by recreational drug use has not. When expended for spiritual purposes, however, psychoactive substances were used, in a way, to temporarily mute one’s surroundings so that the user could detach from the physical and connect with a higher power. “Self-destruction” in this aspect was viewed as positive, an accomplishment even. Today the general public views this same time of detachment from reality as negative and taboo. Of course there are good reasons for this. With all of our advancements in chemistry and science, drug induced trances are no longer limited to just opium and hemp. Then again, I’m not so sure that someone cracked out on methamphetamine is even considered to be in a trance, given its context in this paper. For the ancient Greeks, the trance like state was achieved solely by being alone, apart from society and other distractions. I find it impressive that they could attain such powerful abstractions by just physically isolating themselves from the world as opposed to chemically inducing catatonia. That is commitment. One thought that struck me after reading Ustinova’s paper is how distant society has become from spiritual devotion. Though my knowledge on this subject is slightly inhibited by my upbringing in the south, it seems to me there are few religions that require any more than your presence for worship a few times a week. It’s amazing to me that people once held a faith that was so strong they didn’t even question the reasoning behind starving in a cave for a few days. Your post was a lot of fun to read! However, the title seems a little incorrect as Ustinova’s chapter only went up until Late Antiquity. It does of course lead us to question the consciousness altering practices of our own era. Obviously there is still a lot of recreational/social drug use, but I don’t think I know of any groups that still use mind-altering substances for religious purposes. The chapter also led me to wonder if modern religions would benefit from including them- I for one find church services extremely boring. Maybe the desire for altered consciousness is why those more “hip” services aimed at young people are taking off in popularity. They seem to have a lot more music and dancing so perhaps they are more or less trying to get members to achieve a trance state. If there are currently religious sects which do practice drug-induced altered consciousness, would these possibly spread because of potentially relaxed laws regarding drugs? Another interesting question I have is why cultures and religion depend upon trance states / altered consciousness. What makes these people so willing to go through so much (i.e. near death experiences) to achieve this mindset? I would like to blame it on religion making people do silly things, but clearly this is an issue for the secular folks as well. I was also wondering a bit more about the Greek initiatory frenzies. What sort of near-death experiences exactly were these people subjected to? I also feel like perhaps they were already hoping for a brighter outlook on the afterlife. Why else would they have sought to be included in the group? In which case the experience would not be life-changing so much as affirming what they had already hoped. This would make sense because most hallucinations have the themes of the religion you are a part of. Your post has set a very good tone for the class and I hope those following (including mine) will be half as enjoyable to read! I am also taking an art history class right now so perhaps I should be on the look out for signs of altered consciousness in the pieces we discuss. Really cool article and a really cool post. The whole time I was reading, I was thinking of a particular facet of Hindu tradition/Indian culture: the betel nut. The nut has no more psychoactive effects than maybe a strong cup of tea, but nonetheless, it has been used for meditative purposes for thousands of years. It became so prominent in fact that it became a part of many of the rituals and is even what prayer beads used by rishis are made out of. Any important social interaction(engagements, weddings, birthday functions, coming of age parties, the first time a guest enters one’s home), it is required for the host to present a sari, some gold(now just money), betel leaves, and betel nuts. I personally find it incredibly interesting that a culture can change to incorporate a substance used for prayer (albeit, said society hierarchically valued priests as heads of culture). I was wondering though, why were psychoactive drugs so much more widely accepted by religions in the past than they are now? If we look at the major religions of today, specifically Islam and Christianity look down upon the use of drugs. Muslims especially even abstain from drinking and smoking. We could argue that it is because the negative health effects are more apparent, but I’m sure people overdosed and died in the past. The only thing I could think of was that when this happened in the past, they explained it with the principle of “flying too close to the sun”: they got too close to God, so they returned to him in the end, when we know now that it’s because these drugs are basically poison to the body. Also, the negative connotation that narcotics have taken on in the past half century probably also contribute to the detraction of psychoactive drugs as a part of religion. No clue why, but my reply cut halfway through, so here’s the rest of it: An interesting thing about the article not really mentioned in the article, is the depiction of the prophets themselves in art. In many paintings we see of say the Oracle of Delphi or other notable soothsayers, we notice their eyes are rolled back in their heads/ not really looking at anything/ closed. This blindness to the world means something in terms of “knowing” things. In Norse mythology, the god Odin traded an eye for the Wisdom of the ages at Mimir’s spring, so he can remain in the present with one eye while seeing what others cannot in the future with the other. In Indian mythology, the god Hanuman is always depicted with his eyes half closed because he is half present watching over the world and half in prayer to his lord, Rama(an incarnation of Vishnu) and hence is with the gods. These archetypes in religious lore says something about us as humans: that we relate wisdom/ devotion to not being able to see. The term “blind faith” comes to mind in this discussion, we like to place faith in those who can see something where there is nothing. The “prophetic” section reminds me of the movie 300. The Spartan council refuses to go to war unless their prophets, I think they were called Ephors, agrees to go to war. This is just a movie of course, and an incredibly inaccurate movie at that, but the Greeks did place an enormous amount of weight into the words of their prophets. Almost everyone knows about the Oracle at Delphi, probably the most famous oracle in history. Unless you count Nostradamus as an oracle of sorts… But my points is, these people with altered consciousness played a huge role in everyday society. I think that everyone wants a way to escape from reality, and this is why altered states of consciousness are so prevalent throughout all points of human history. There is even a country song about this. Just as we have certain stressors today, I can only think of what our ancestors were stressed out about. We think, “Well I need to go write this paper, go to this such and such meeting, do laundry…ect..” while our ancestors were probably thinking, “Well I need to go spear a couple of fish, need to strike up a fire or find some way to cook it, need to go pick some berries, maybe go kill that other tribe over there that’s taken all of the buffalo…” This is just a silly example, but this idea linked to disassociation is what I bank on when looking back at this topic. I also think another factor in altered conscious in the prehistoric times is that they were more in tune with nature. They didn’t necessarily know that lighting this weed would give them a funny high feeling. But hey, I’m sure once they discovered that aging grape juice mixtures and setting fire to certain plants made them feel good that they weren’t gonna stop there. Think about it, who would really? Looking back at this topic, I think of our discussion on religion as a byproduct as well as the role religion plays in history as far as wars and such. I know this post focused more on altered states of consciousness rather than primate religion, but the two go hand in hand. When we think about the origins of religion and study this, it makes me think of the origins of mind altering substances and how or why humans took an interest in it. I hit on this in my previous blog post on this topic, but now I would like to harp on our discussion of whether or not religion can be blamed for all conflicts on earth. This, to me, tied into this topic regarding human consciousness as it made me ask myself, what do mind altering substances or states do to humanity. Do we hear of any war of crimes with this? This answer to me is similar to the answer I had regarding the religion based question. You have happy drunks, and you have angry drunks. Some run around and do dances, some beat their wives. When people are high on different things the same thing is true. You smoke weed and you love the world, then you snort bath salts and eat off people’s faces. I think this issue can be debated day in and day out and never lose interest value. Returning to this post at the semesters end I feel I am still noting the same things about states of altered consciousness. While I was unable to experience any form of hypnosis in any of our attempts, I do have a newfound understanding and appreciation for the practice. Just as we use altered conscious states to relax tensions and bond with friends, other cultures do that same and with many varying methods. In my first comment I questioned whether or not the reason for church services with more rock concert like music was an attempt at drawing a younger crowd and perhaps offering a bit of an altered consciousness mindset. I know from experience that being in a room with booming music and a lot of people can definitely be mind-altering. But over the course of our belongingness study, I noted that the one church with more formal rules and softer music drew the most young people (not total, but as a proportion). And the one with the most mind-altering atmosphere seemed to draw an older population. Maybe this is just because the younger folks have other methods? For me, this post really puts the idea of altering your state of consciousness in scale. I’m very conservative, and grew up in a somewhat sheltered environment. I’ve never had alcohol, and I’ve never done any sort of non-medical drugs. Alcohol is for drunks and trashy people, and drugs are for potheads and delinquents. Drugs are also a new vice, and weren’t really used before Vietnam. Sure, I responded to this post with several paragraphs entailing my knowledge of mind-altering practices in Ancient Greece, but for some reason, I just didn’t connect the dots. But I think this class really opened my mind about these kinds of things as social devices and personal de-stressers and the like. And reading back through this article again, it is clear that altering states of consciousness has been a common practice throughout human history, and certainly not just the hedonistic depravity of modern society. Maybe one of the perks of being highly conscious creatures is our ability to (within reason) naturally and artificially alter our consciousness. Just a thought. I’ll still probably turn down alcohol and pot brownies at any parties, though. Thanks for your honesty. I’ll keep that in mind when I assume the “worst” about people in the future. I feel like I should start off by telling you all I’m “asking for a friend” or something along those lines. This may not be a good place to discuss the shenanigans of my youth but “my friend” experimented with a psychoactive plant or two in his time. I might come off sounding a bit like a hippy but these events (although I’m not condoning them) can be truly life altering as you begin to experience your consciousness in a way you never thought possible. Sure hallucinating is always interesting but the true beauty in these experiences is the oneness that can be felt with everything around you. While high a so many simple things develop unparalleled splendor. Music, art, and even the “25 mph” speed limit sign “my friend” sat in front of for an hour become so powerful once consciousness has been altered. He was never particularly religious but ever since my experience on hallucinogens he has always felt there was something bigger than him, whatever that may be. In fact any religious beliefs “my friend” still holds comes from one or two specific insists of drug experimentation. If any of you attended Lawrence Krauss’s Allele lecture, the hypothesis of multiverse, the concept of a physical fourth dimension, and other quantum principles he discussed were very similar to “my friend’s” new views even though he only had a precursory knowledge of these scientific concepts. Calculus III was fresh in his head and he had a roaming curiosity in relativity, so when he took psychoactive drugs everything seemed to just click and it wasn’t until a few months later that he learned many of these religious thoughts coincided with well supported scientific hypotheses. As I look at the way drug induced experiences affected him, it seems almost obvious that some sort of conscious altering tools were used in the development of almost all religions we see today. It’s cool that we are able to connect the dots throughout history and determine which conscious altering tools were used in various areas. Gaining a protohistoric perspective on the early use of psychoactive drugs helps us understand early human rituals. I think it’s fascinating that rereading ancient Biblical texts we can understand someone’s mental state. The fact that the writings of Ezekiel so accurately depicted multiple forms of hallucination and that we have been able to qualify them shows just how far our understanding of altered states has come. I often wonder if prehistoric people knew that they were being influenced by things they consumed when experiencing altered consciousness. And if they are aware of it would they or people around them still consider their experiences divine? We have historic accounts showing that both the Ancient Near East and Ancient Greece seemed to understand and accept drug induced inspiration. These cultures actually required some sort of altered consciousness for truly divine intervention, so I would guess most cultures-although undocumented- had similar understandings of drug use. By the way, the story about the army that attacked itself may be one of the funniest things I’ve ever read. And that kids, is why we don’t do drugs. This being the first article we read, I was fascinated with the level of dedication and commitment these practices entailed; however, after reading about the Bali water system, the Zār and shamanistic rituals, I now see there are many extreme religions that are still actively practiced today. A connection that I found interesting was the similarities between the Greek’s process of achieving a transcendent state and the dissociation that can be achieved through playing online video games. As stated in the blog, the Greek’s reached a trance like state through isolation from the outside world. This is comparable to the trance like dissociation that can be obtained by gamers who not only isolate themselves from the world, but become lost in another. The only difference is that Greek transcendence is a rite of passage and World of Warcraft is a stress-relief coping mechanism. But both utilize the brain’s natural brain mechanisms, without drug use, to achieve transcendence. This is also similar to how the Zār ritual is practiced. The women of Sudan are an oppressed group who use this ritual to escape their world temporarily by isolating themselves from not only their oppressors, but from their actual “selves”. It is done through dancing and chanting which is very different from how the Greeks were able to alter their state of mind but the common theme remains that isolation from everyday life and society is a way to achieve transcendence. Coming back to this post after so long i felt a similar reaction as Lance’s: a bit dumb that my response was so bland and generic. After everything we have learned through the semester however, I think my response to the question that was asked in the first class period has changed. The question was, “why do people do drugs?” The response that I think we all decided on was that people like to escape their own conscience (or I could be completely wrong and that’s just what I got from the discussion). 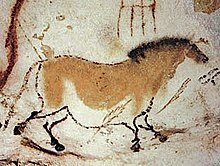 However, thinking about the talk of shamanistic rituals and the reason AMH (anatomically modern humans) were able to survive over Neanderthals, I think the ability for mind altering substances to increase healthiness and through increased health, increased fitness instilled this sense into our psyche. In other words, those who were more predisposed to doing drugs to be a part of the community received the benefits of the healing ceremonies and were more likely to survive, so this predisposition became a part of the original gene pool. I think this is a theory that we talked about briefly in class, but it’s the only way I can think to justify why so many people binge drink (I get that its a good time, but why do people have more fun when they are impaired). For myself seeing the difference in my answers from the beginning of the semester and now are so different and that my answer now is actually based on research shows that this course actually taught me something about the human psyche. I’m sure you have all noticed me talk about Phish or the Grateful Dead at some point in the semester or seen my backpack covered in pins. When I started to doubt religion in my early high school years, I was introduced to this music and cultural scene that I have recently started to realize (through what I have learned in this class) filled the void of religion that I had left. The social microcosm that surrounds this music scene creates a community similar to that of the protohistoric cultures that, as we learned through shamanism, helps to support itself through altered states of consciousness. These two “cultures” share many similar avenues of achieving altered states of consciousness, including music, dance, community gatherings, and the ever-popular Deadhead stereotype: drug use. Personally, I hate that people automatically assume that I am a crazed, drug-riddled, hippie burnout when I mention my interests. However, I am able to recognize the aspects of drug-use that help this music scene stay together. Initiation rituals often feature drug use in jam band culture, as “the first time you trip at a show” is often seen as a major turning point. Using mind altering substances helps connect the audience together and helps foster a community. For example, a younger fan can talk about their first experiences using these substances at a show with one of the scene’s “elders” and learn from their experiences and “wisdom.” The use of mind altering substances is just one of the ways that the jam band scene can be viewed as a religious microcosm. The music is seen as the “religious” part of the community while the band is viewed as being a sort of “spiritual guide” for the audience, much in the same way that a shaman helps to guide rituals in a community. The religion (music) is interpreted through a shaman (the band) to a community (Deadheads & Phans) that participates in similar rituals (using mind altering substances, traveling to shows, dancing, learning as much about the band as possible) in order to achieve similar goals of enlightenment, transcendence, or spiritual understanding. One of the things I found interesting about this article was the way that altered states of consciousness (at one time) were considered a blessing. In 2014, drugs and mentally altered states are very frowned upon, and the majority of the time it appears as though the more religious people are the ones that frown upon it the most ( I realize this is a generalization). It makes me laugh because Herodotus gave us the first account of a “purification rite”, and it’s ironic because it doesn’t seem likely that religious people would lump the words “purification” and “drugs” together, unless it was in saying that the two do not fit together. The Greeks considered the states of consciousness to be a good thing, because they believed that in this state you could be the intermediary between humans and God. It is odd to think that at one point these visions and altered states of euphoria were revered and appreciated by people, seeing as how today that person would be treated as a criminal. I wonder what the Greeks would say if they could see us now. Another thing I really enjoyed reading about was the initiatory element of the Greek’s quest for knowledge, because all I could think about was the movie “V for Vendetta”. There’s the point in the movie where Evey is locked away in what appears to be a prison cell, and she is subjected to getting her head shaved, and is interrogated on a daily basis. Every day she waits for them to take her away and kill her, and every day she lives to see another day. This whole illusion was created by V, so that she would no longer fear death. That is what the initiatory element for the Greeks sounds exactly like. The Greeks did not want their new members to fear death, but wanted them to have an acceptance of death and maintain peace of mind. This article was really fascinating. I enjoy seeing how cultures throughout time deal with ideas that may or may not be topics of discussion in our own time, and the Greeks did not disappoint. It just makes me wonder what people will think about these altered states in another few thousand years, and if it will continue being a controversy or if these practices will go back to being accepted. Guess we’ll never know for sure. P.S. I really appreciate the hashtag at the end. The idea of altered states of consciousness is surely an enticing one. As students, I think it’s safe to say that we all at least have that one friend, (or may be that friend) that has experimented with psychoactive substances. Looking at drug use from this sort of perspective, I think it can be easy to let our analyses become parodic, or joking. The fact of the matter is that for these people, the trance states achieved by these substances brought them closer to their religions, deities, etc. Some of you guys have touched on other uses of drugs and alcohol throughout history to achieve trance states, and I think it’s become glaringly obvious to all of us how omnipresent this sort of activity once was. These days, few religions, other than some Hindus and certain First Peoples religions, use drugs or alcohol intentionally to achieve a trance state. In the modern world, churches that do depend on some sort of trance state depend instead on training, music, and group psychology to exacerbate the chances of achieving trance. The question that I ask is why is that? What happened in the last few hundred years that caused Western religion to throw out the use of perception-altering substances? Many people who experiment with psychoactive substances report incidences of feeling a connection to some sort of higher power, or else a greater connection to the world around them. Though popularized by the hippy, flower power stereotypes of the sixties and seventies, up into today there are still plenty of people who regularly seek these trance states for the feelings of connectedness or oneness that they can bring– such as Charlie’s experiences with the music/cultural groups like Phish. It’s clear that we still recognize the power of such experiences, but they have now been delegitimized by organized religion. This non-reliance upon trance states can, I think, be seen as far back as the beginnings of the Christian church. I wonder if, counter-intuitively, this could be traced back to the emphasis that Christianity places upon a personal relationship with God. 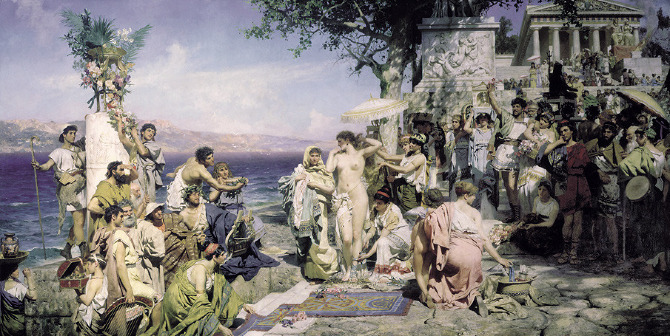 This emphasis on internalized faith, which stood in opposition to the more culturally based faith of the Greek and Roman religions, most likely took a strong anti-drug stance in an attempt to differentiate itself from the other religions of the time, in much the same way that the early church eschewed the temples, festivals and holy days of other religions. Of course, the rise of the Catholic church certainly changed many of these practices, but obviously this one prohibition has remained strong. In fact, many churches to this day (including many of the Southern Baptist churches I’ve been to) recognize use of drugs and the achievement of trance states as a way of inviting demons into the body. It’s curious to me that this loss of control to a “higher power” is not still in use by modern religions, but it’s also amazing to me the ways in which modern religion have managed to turn age old practices into anathema. While rereading this article about the Stone Age and the substances that were discovered in the time, the image that immediately came into my head was one of a caveman accidentally eating a hemp leaf and getting high for the first time. Like whose idea was it to just go around burning plants to see if they had any effect on the human brain? The saying goes “curiosity killed the cat”, but I think a more appropriate saying would be something like “curiosity caused humans to do weird things that luckily ended up working out in their favor and they stayed alive”. Then on the opposite end of the spectrum, when I say that it makes me wonder how many times humans have tried something random and they ended up dead.